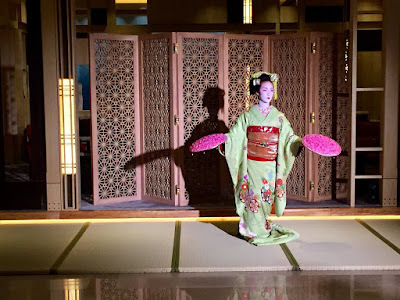 You've likely seen or heard of Geishas, Japanese women who entertain through performing arts such as dance & song, and also serve tea in traditional ceremonies. Their ornate dress and lavish make up are unmistakable, but spotting a Geisha or Maiko, a Geisha in training, out in the streets is quite a rare sight. 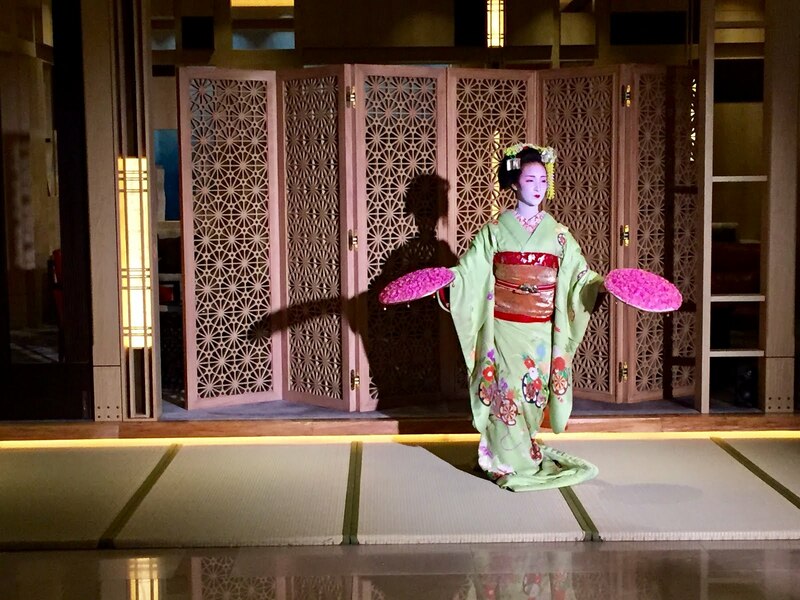 Despite their growing popularity and allure to visitors, the art of being a Geisha is slowly fading as less and less young women are pursuing the profession. 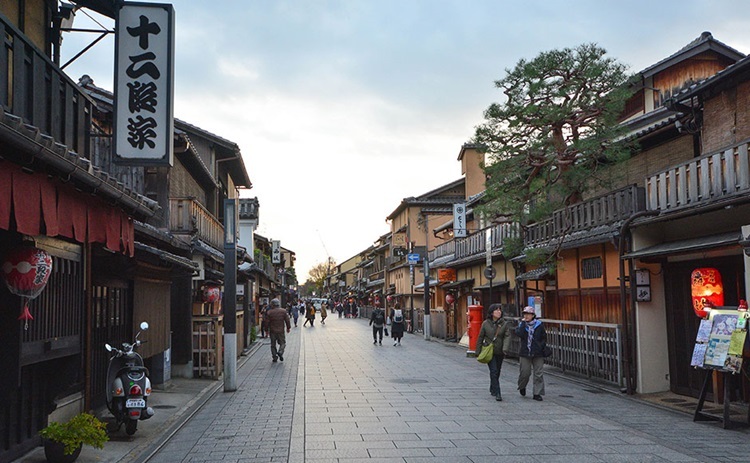 However, if there's anywhere in Kyoto that you'll spot one (other than a hotel lobby) it's likely to be on Hanami Koji Street, where there are several traditional tea houses, steps away from Ifuki restaurant. 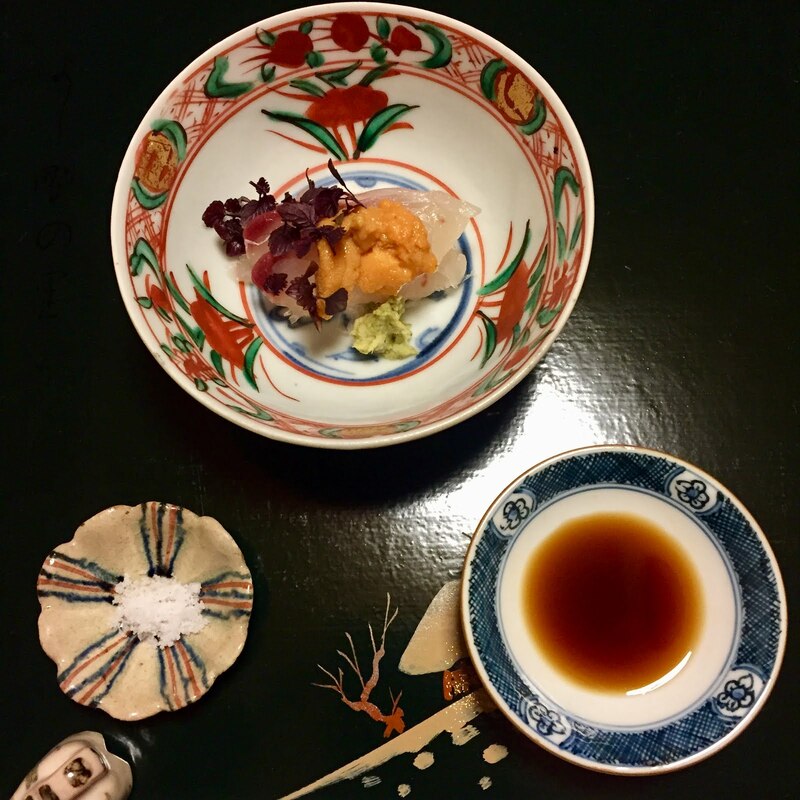 Meaning "to give life with breath", Ifuki restaurant is the creation of Kyoto born Chef Norio Yamamoto. After apprenticing in highly acclaimed restaurants in Kyoto, Norio headed for Spain in 2005 to study methods of cooking by charcoal. 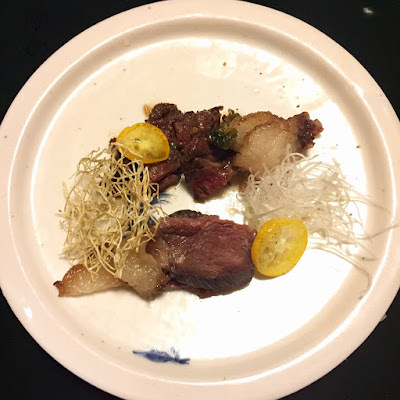 The result is a unique style of "sumibi kappo" cuisine; "sumibi" meaning charcoal grill cooking and "kappo" meaning to cut food with a knife and cooking it by way of fire. This approach adds a rich smokey flavor and a unique aroma to each ingredient which is grilled to perfection. It takes years of trial & error and experimenting to achieve ideal grilling length & temperature to bring out the best of each particular ingredient. 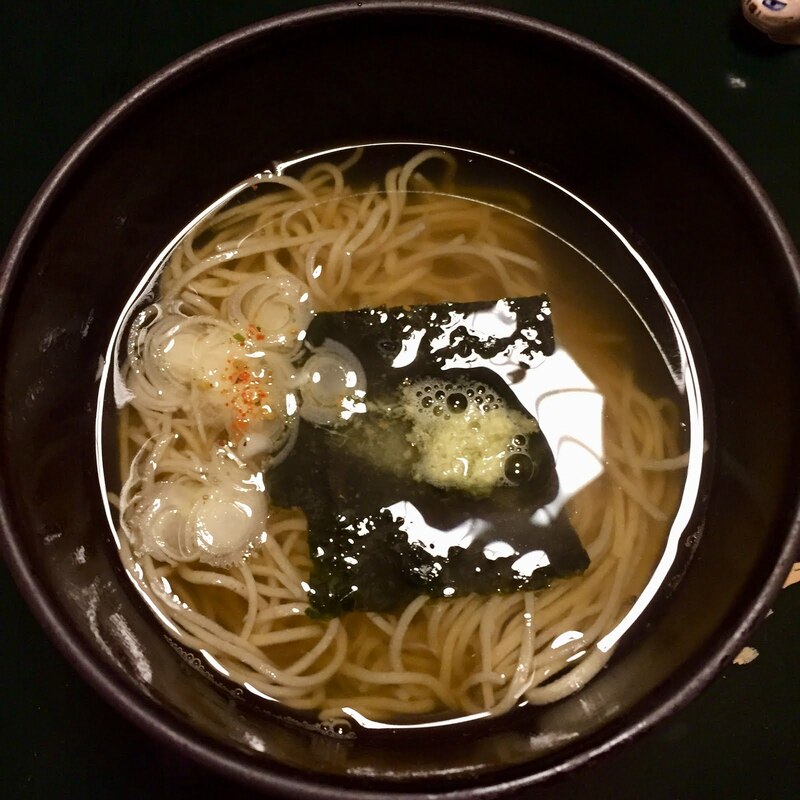 The Japanese call this almost indescribable taste "umami." Dinner service begins hours before guests arrive as Norio meticulously preps each ingredient before it is even cooked. 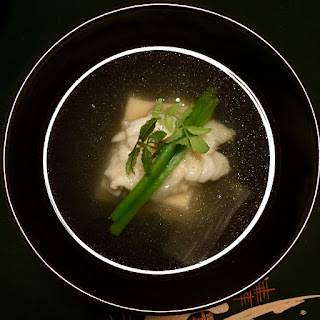 The definition of "kappo" sounds simple, but is misleading as Chefs must master several cooking techniques through training that can last from 10 to 15 years, not to mention understanding seasonality of ingredients. All this in order to accomodate customer's wishes. 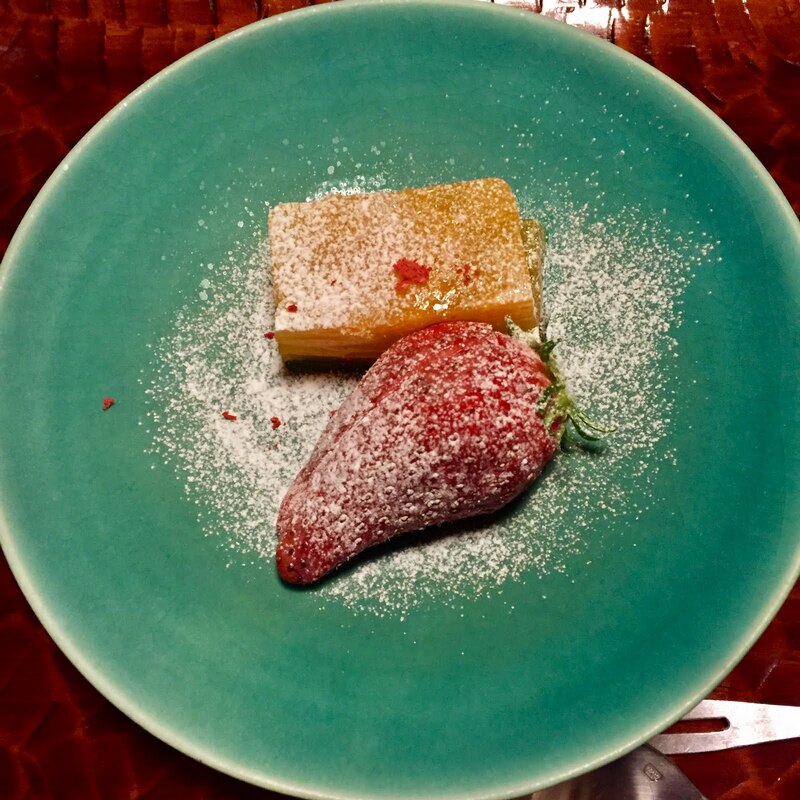 Chef goes a step beyond farm to table and curates each meal to guests preferences, allergies, etc. 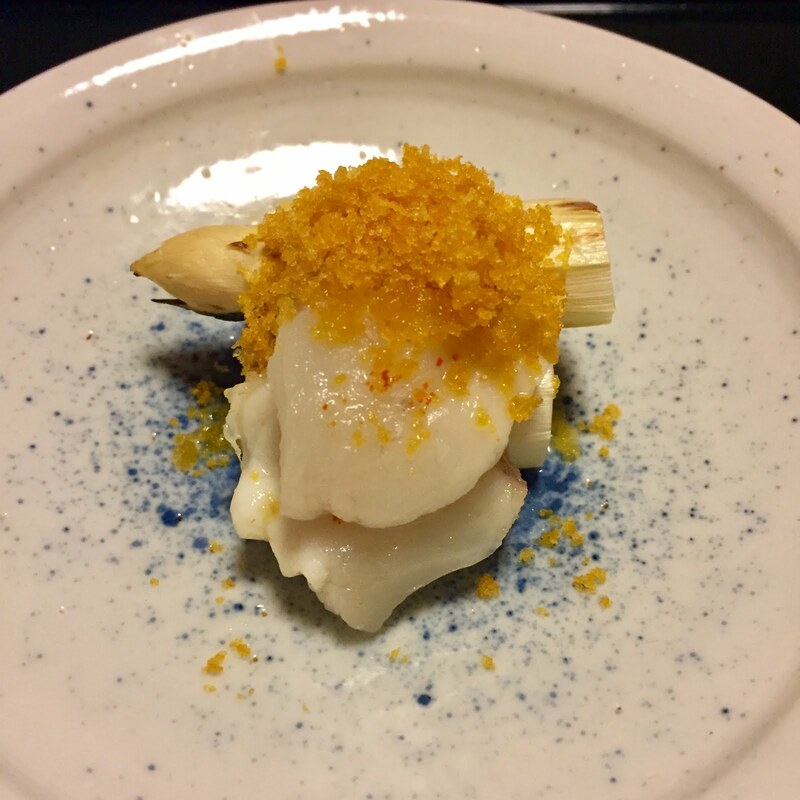 This impeccable attention to detail has earned Ifuki's kaiseki omakase two Michelin stars; "kaiseki" meaning Japanese multi-course meal and "omakase" meaning to entrust the Chef's choice, which shows the highest respect in the chef's skill and experience. Both curtains down mean the restaurant is open. When one curtain is purposely folded over itself this means the restaurant is preparing to open. When the restaurant is closed the curtains are brought inside. 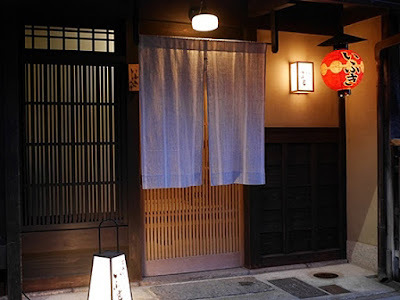 Just like its exterior, Ifuki's interior is traditional of Kyoto household architecture. Rather minimalistic and bare with all unstained wood walls, ceilings and traditional rice straw tatami floors exuding a warm and casual setting. Please remove your shoes, join the other guests at the counter seating for 9 and enjoy Ifuki's interesting and unique kaiseki below. *Some of the photos below have been enlarged to show detail. *Blowfish can be lethally poisonous if not prepared correctly. 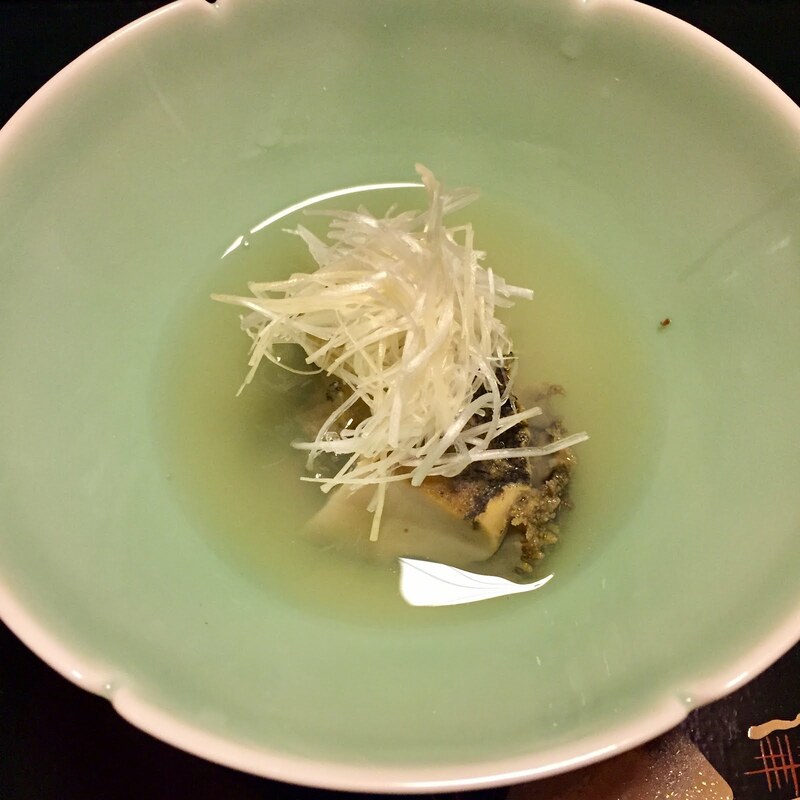 The Japanese government monitors Fugu very closely and only licensed restaurants can serve the delicacy. Chefs must master the craft of carving through three or more years of training in order to qualify. My meal at Ifuki enlightened me as to how little we know of authentic Japanese cuisine. 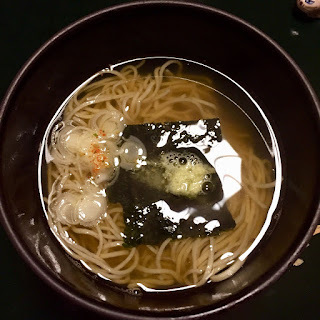 I had never eaten anything close to this type of Japanese cuisine, not to mention, for myself, the exotic and completely out of the ordinary dishes. The staff spoke just enough English to give one word dish descriptions with no choices or menu available. 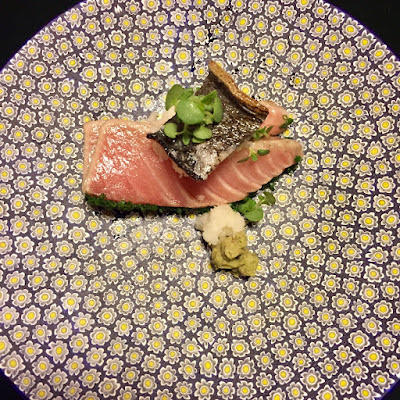 When I asked if it was possible to have a menu written out for me, they gladly obliged and I was returned a hand written menu...in Japanese of course! 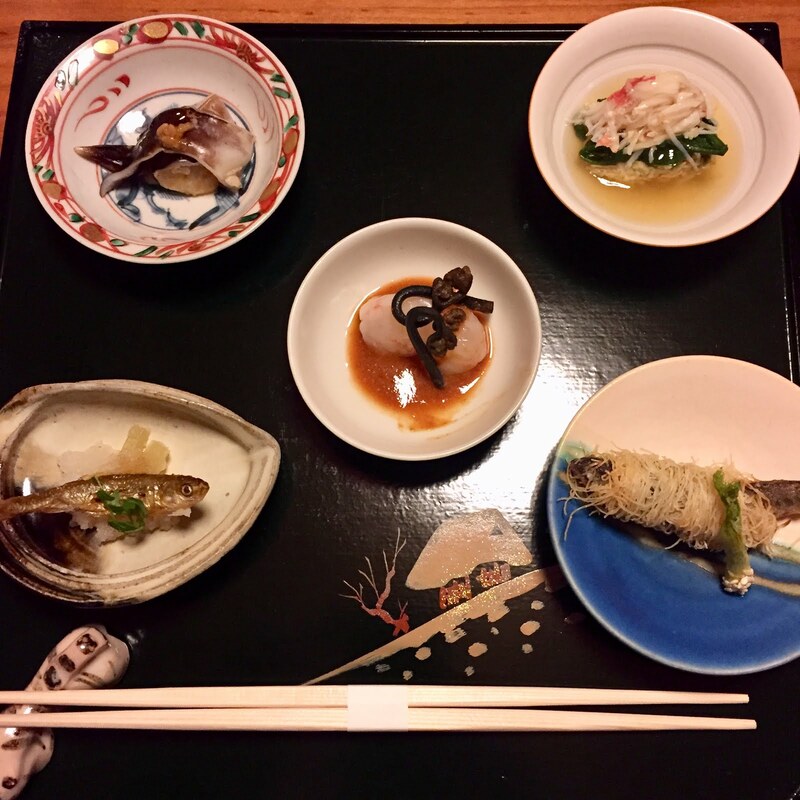 It really is all about the experience for Chef Norio Yamamoto. 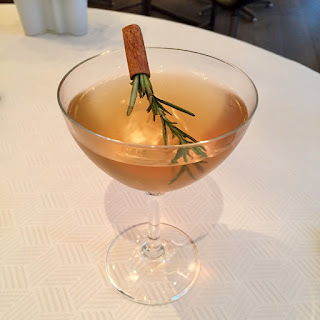 For example, the restaurant requests that guests not wear any perfumes as any fragrance might mask the aromas in the dinning room. They also point out that some dishes are antiques, so to be careful while taking pictures to avoid dropping your camera and damaging the plates. The photo with Chef above was taken on the way out of the restaurant. Chefs in Japan are very humble and Norio asked how I found the restaurant & why I chose to dine there, saw me out, helped call a taxi, and made sure the driver understood the final destination. Definitely a first! 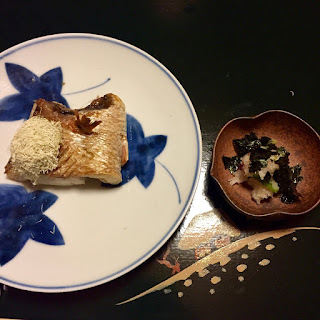 I hope you enjoyed my first hand account of dinner at Ifuki in Kyoto, Japan. 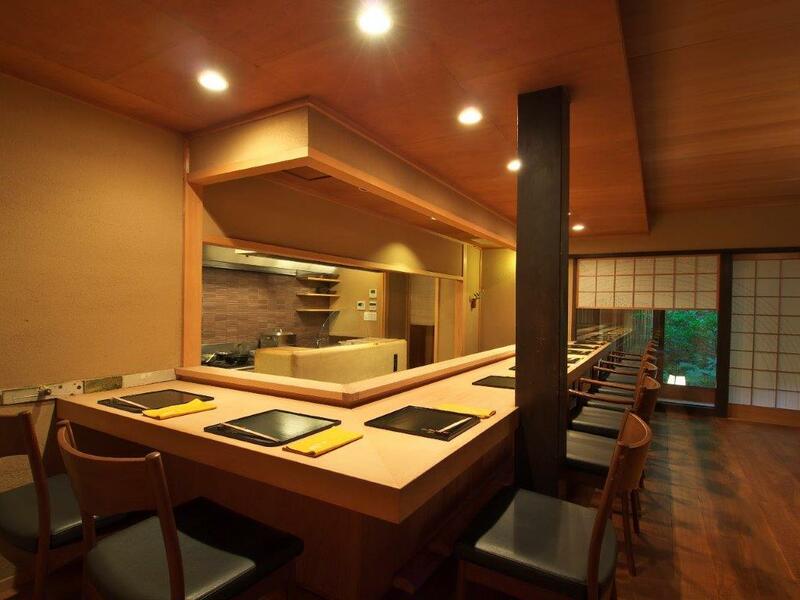 You can get more information on Ifuki restaurant here. All tempura everything? 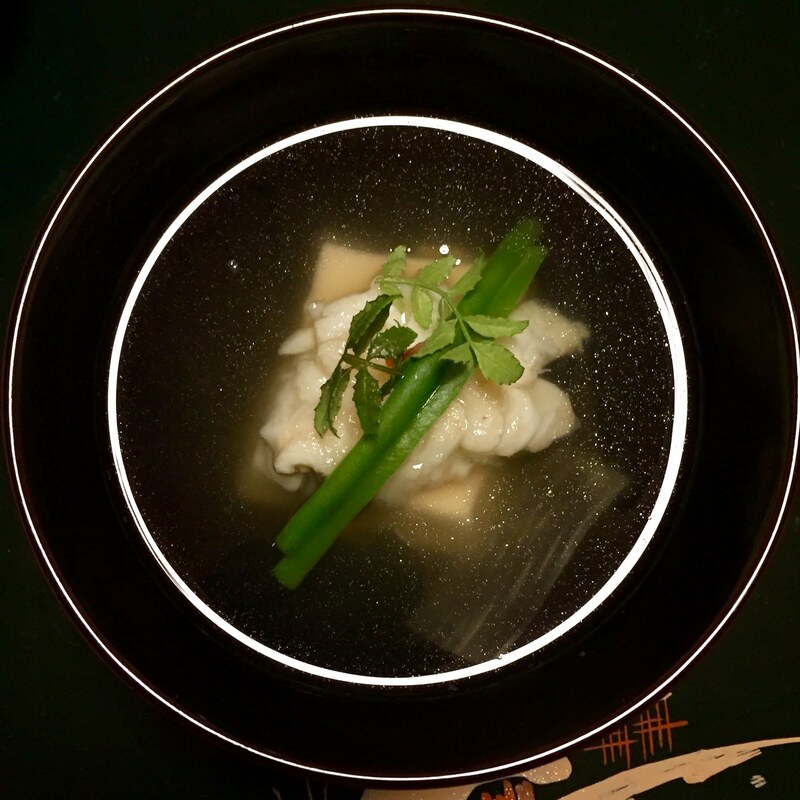 In Japan, tempura is its own cuisine and not just a menu item. Have a look at my side-by-side of one Michelin star tempura restaurants in New York and Kyoto here.